"only loaded 20 cans of beer"
✅ Trip Verified | Ho Chin Minh City to Moscow. Thought I'd give it a try, but this is really not good compared to other airlines. Poor food, no alcoholic drinks on this 12 hour flight, because they only loaded 20 cans of beer and a few bottles of wine and they were halfway the first serving finished. When you ask staff something, you first get a sigh. English if the captain not understandable. I don't believe they take safety serious; no extra explanation at exit row. "CS not helpful at all"
✅ Trip Verified | Miami to Kaliningrad via Moscow. I've been flying Aeroflot for Years. Love the service, very pleasant crew, Always helpful. Customer service phone line is easily accessible but not helpful at all. This last flight the airline charged my debit card twice for one booking and now it has been almost a month since I contacted them, I filled many different forms but no-one contacted me back and I don't have and answer whether they are going to refund my $900 or not. Very Frustrating!! Will review my rating after I solve the problem accordingly. ✅ Trip Verified | Moscow to St.Petersburg. The plane from Nizniy Novgorod was late, but I've been able to catch my next flight and was at the gate 3 minutes before the gate closes. However staff closed the gate and what is frustrating they showed opposite direction to the customers support office and disappeared from the gate instantly. Because of this I lost a lot of time searching the office and nearly missed the opportunity to change my tickets for the next flight.the next flight was delayed for 40 minutes and there was no excuse from personnel. 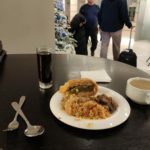 ✅ Trip Verified | Flew return Dublin to Beijing via Moscow. 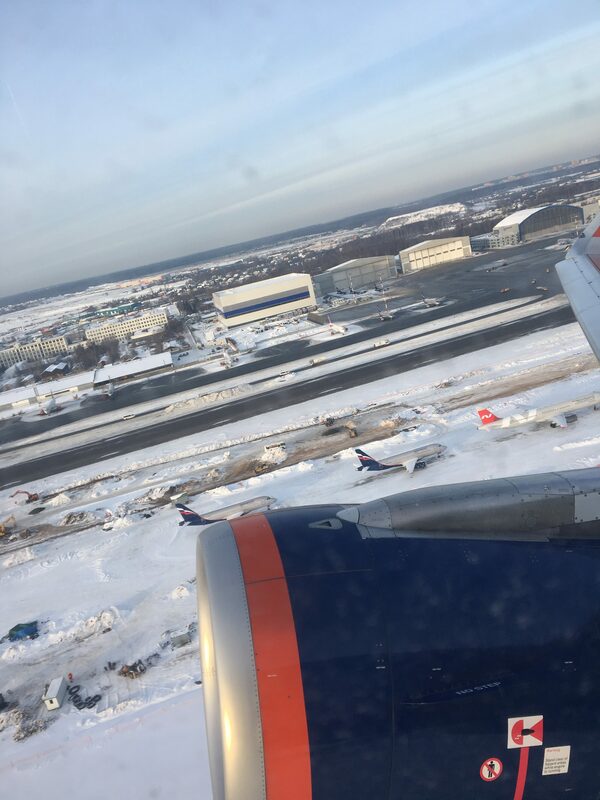 Pleasant experience for my first time flying Aeroflot. There was no online check in available in Dublin but it was available in other sectors. . The first flight of four had a 20 minute weather delay ex Dublin, the other three flights ex Moscow and Beijing were on time. All the flights were full. Boarding was prompt and easy. The internal European flights were on A320s and included inflight meals. The main courses were fine rather than good but the side dishes - salads, bread, deserts etc - were good. No alcohol was served on these flights. Moscow Sheremetyevo airport was huge and full of interesting sights, but the immigration in transit at 5am was woefully understaffed. The cabin crews on all four flights were very friendly, polite, attentive and efficient. The flights from Moscow to Beijing and back were on new B777 planes. The inflight entertainment was good with a nice selection of movies. One section of the plane had sound interference problems with their systems which the crew were unable to remedy. The seats were very comfortable and the blankets for overnight flights were much better quality than most. In general, the airline certainly give the impression that it is trying hard to maintain and improve its standards. ✅ Trip Verified | Moscow to Yekaterinburg. The flight time is 2h30min, I like Aeroflot's A320 seats, all types. The new one, are the best one, they have iPad and phone holders, power outlets etc. But this plane was 8 years old, but the cabin looks like it is new. On this 2:30 flight, you receive sandwich, candy bar, an apple and drinks (tea, coffee, different juices, and water) All is nice. Cabin was clean and crew were super-friendly! Not Verified | Prague to Hong Kong via Moscow. After 2 yrs again on this route. Web check-in did not work properly, so I had to queue in PRG, but processed fast. Outbound PRG-SVO leg with slight (30 mins) delay, usual drink + tasty dark bread sandwich. 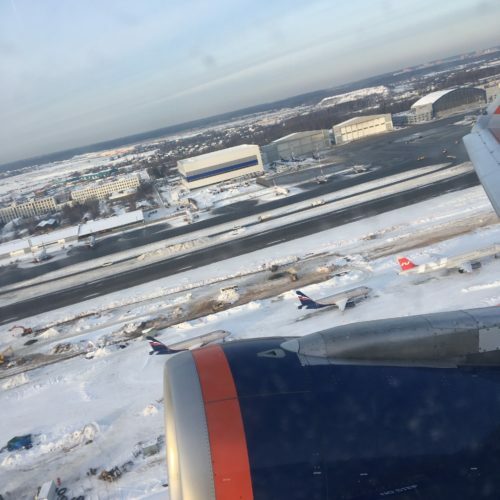 Only issue with Russian pax who always rush out of plane even before parked and push over the rows ahead (this is where crew should manage order), which causes stuck and safety issues. Swift transfer to terminal F (some 20 mins walk + passport check) in Moscow. SVO-HKG on the same plane like in the past, however not much worn and clean, good meal presentantion - tasty and filling - both dinner and breakfast. Drinks refilled upon request, bottled water + amenity pack distributed (no earplugs). Young and attentative FA´s. On the inbound, used again HKG express city check-in, no upgrade to C for HKG-SVO available (sold out). Flight again ok, relaxing and on time. First drink service before takeoff, hot towels before meals. I wonder why the crew did not offer paid uprage to Premium from Economy class in plane, as the PE load was some 30-40 % both ways on long hauls and this may bring additional gains. After almost 3 hrs delay in SVO due to heavy snow finally, the flight to PRG (last on evening) took off - we were not provided any meal vouchers or other assistance. Also the delay announcement was made some 5 mins before original boarding start when the plane at gate was directed elsewhere. Boarding by bus on remote stand to snow covered plane (another 1 hour waited for ATC clearance), in the A321 the phone charger (USB) did not work. Also the pax behind me caught all the time heavily without covering his mouth or being asked by the crew to do so - naturally I caught flu could not change the seat while packed economy class. When asked repeatedly and politely in SVO at the counter for C upgrade, I was just responded "No" without any other excuse or so (it wasn´t full though, I was in business suite, FF flyer, PE full flex ticket paid). Despite the last points, I´ll recommend to anyone from central/eastern Europe for Far East connections. ✅ Trip Verified | Delhi to Zagreb via Moscow. The flights themselves are comfortable but I had a hellish experience trying to board a return flight to Delhi. Despite having all relevant travel documents, I was denied entry by=staff. They panicked because I have renewed my passport after my Indian visa has been issued. These are routine situations that should have been easily handled, but they did not let me on the plane. I have tried to reach out to local customer service for support, and they were just as dismissive initially, it took me several phone calls until I finally managed to get them to listen long enough to understand that their airport staff simply have not bothered to look at proper pages in my old passport that carried visa extension stamps. ✅ Trip Verified | Moscow to Bangkok. Aeroflot passed my flight to other airline - Rossiya with a downgrade of the quality of servic. The multimedia system didn't work, there was no any comfort packet like pillow, slippers or something, the aircraft was 10 years older than stated on the booking. For notice the Rossiya flight tickets are about 30% cheaper than Aeroflot. There was no excuse or compensation it was like usual behavior of airline. ✅ Trip Verified | Brussels to Moscow. Not my first flight with Aeroflot. And each time I'm surprised by 5-star onboard service: very polite and attentive flight attendants, always an extra attention for passengers with kids, on board beverages are foreseen for all class passengers, even on very short flight (from Bru to SVO: soft drinks and juice, fresh salad, scone, cheese, butter, bread, warm and very tasty meat or poultry dish, side dish, dessert, tea or coffee - all is tasty en fresh! This is just to compare the ticket of other EU companies who will not serve you anything unless higher class and so much more expensive ticket or on board extra purchases for snacks, and not a full meal). Fleet is super new, clean, again if compare with EU famous airlines. Looks like their high standards of service just grow and do not drop. Concerning the arrival and departure times, all is on time. Even if delayed at a/p of departure due to airtraffic of other (not by Aeroflot depending reason), the arrival time will be same! I can only advise this airline, perfect! ✅ Trip Verified | Moscow to Geneva. One of my favourite airlines. 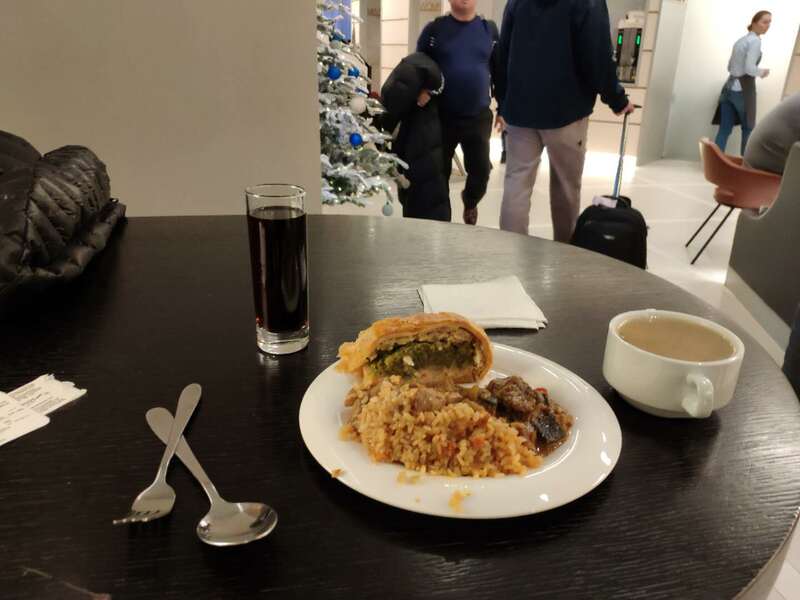 Good service, food and aircraft. Aeroflot has the world's newest aircraft fleet. The main Russian hub airports could be somewhat better I suppose, but that's not exactly the airline's fault. In any case, they're decent.